Doug Liman thinks he knows why Warner Bros. picked him to direct the Justice League Dark movie, a.k.a. Dark Universe: because there was no chance of him turning in a movie that looked like anyone else’s. Speaking with IGN, Liman talked a little bit about Edge of Tomorrow 2 (still happening! It will “revolutionize how people make sequels. It really will.”) and a lot about how he wants to make the Justice League Dark movie. Yeah, I mean first of all, I love those characters, and I love Warner Bros., and I love [producer] Scott Rudin, and it’s — and you know, I get asked to come in and do things that are “unconventional.” If people want conventional, they don’t come to me. It’s why doing Invisible was like right up my alley — because how can you be conventional when there aren’t even conventions that exist? And so you know when Warner Bros. wants to sort of turn the comic book genre on its head, they call me. Liman’s really, really confident that Warner Bros. is going to let him make the bizarre, trippy movie that a Justice League Dark movie needs to be. Basically, he’s arguing that he wouldn’t have gotten the job unless that’s what the studio wanted. And, oh my god, do we hope he’s right about that. Of course, there was probably a point where David Ayer thought something similar about Suicide Squad. Prove you’ve actually changed, Warner Bros. So even if I wanted to be a little bit more conventional, like, the system doesn’t want me to be. Liman said that he sometimes decides to make certain tropes off-limits for a movie—like refusing to make the third act of Bourne Identity about a woman being in danger—and that he has “some” rules like that for Dark Universe. But he didn’t specify which ones he’s avoiding. Could it be the way the big showdown to these movies always involves massive death and property destruction? Or how about having as many villains as you can cram into a piece? The giant motivational speech? The team all hating each other but becoming a family through hardship? What “rules” could he be forbidding the movie from following? And, more importantly, how far will Warner Bros. really let him go with that? Correction: The initial version of this story accidentally stated that the interview was with Collider and not IGN. The story has been updated to fix that mistake. Spoilers and Rumors for Ant-Man, Civil War, Doctor Strange, and More! 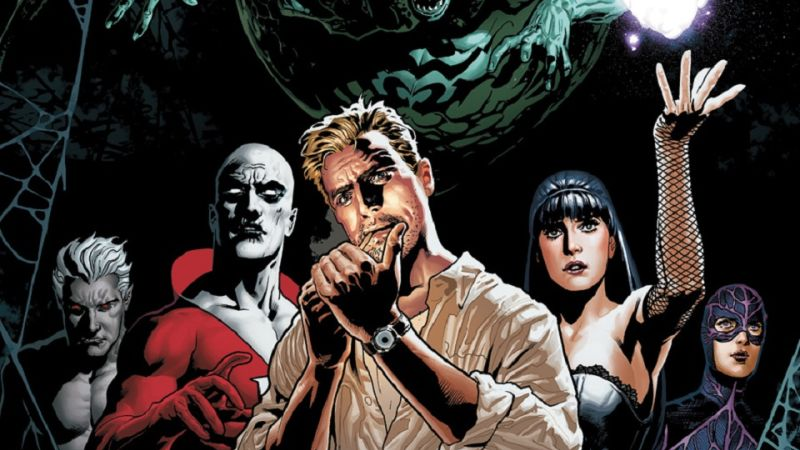 Which Characters Will Be in Guillermo del Toro&apos;s Justice League Dark?